My blog is so random.... but then again... I am random so I guess that it works! Anyway, I decided that I wanted to make a quiet book for Ella for the plane ride to Romania (as if I didn't have enough to do in getting ready for 3 months in another country). I have a few finishing touches I need to do - like faces on my finger puppets, the edges on my alphabet and attaching the pages together. It was a lot of work! But I love how it turned out. I do want to thank my friends Janel Martin and Aimee Shaeffer for sharing their ideas for me and helping to motivate me to get started. A few things that I have learned in this process.... magnets....are not my friend and causes me to have to tear a whole page apart and start over. Cutting things out takes forever!!!! Though snaps are a nice touch - they also take forever, and one can get a little loopy staying up until 2am to complete just the page with the snaps. I took the easy route and used the blanket stitch setting on my machine, I also used all white thread.... had I had more time I would have switched colors but time was running out.... I also used hot glue - which is nice and easy (thanks Aimee for the suggestion). I also learned a lot about my sewing machine (thanks for the help Rachel Mingle). So without further wait.... here is my quiet book, minus the cover which I will post later (if I remember). Next up - baking party - The upper page is a cookie sheet with milk and each cookie is a different shape and color and they are buttoned on and off - working on buttoning and matching. Cupcake Counting - Each cupcake has a number of sprinkles that match the cupcake tin. Bee Maze - There is a string in the corner has a bee on it. Weaving the bee through all the hooks in the correct order to get to the beehive at the end. Getting Ready - Practice zipping jacket, tying her shoe, and doing her hair. Dressing Up - Paper doll goes felt! So much fun and do many outfits! Hopefully we won't lose too many shoes. Alphabet Matching and Spelling. All the letters on the circles are snapped on for matching, then below there is an envelop of words that she can pull out and spell on the snaps provided. Finally, Tic Tac Toe - with Monkeys and Frogs - This was the page I tried to use magnets, but that was an epic fail! There it is! Now I have to clean up the aftermath in the dining room. I have to pick up a few more things and then I am done completely! Hope she loves it! 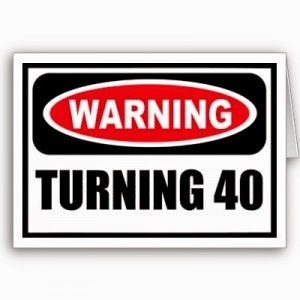 As I move towards the ever so blessed 40s age bracket, I can't help but think and reflect back on my 30s. It seems as though I turned 30 and my body started to fall apart. I had major knee surgery the day before my 30th birthday after completing my first Half Marathon - I was in the best shape of my life, but my body was beginning to start down a pretty harsh down hill spiral. Two days after my knee surgery, they found a blood clot in my leg... which after some genetic testing they found I had a blood clotting disorder called Factor V Liden. Fun times rehabbing not just the knee but also working through the blood clot. As if that wasn't enough at the end of that year I also woke up blind one day.... very long story short.... I was diagnosed with Multiple Sclerosis, a journey that seems to rob me from so many things that I loved,,,, no more exercising because the heat made me feel awful, no more tennis, because I could no longer judge where the ball was coming from - not having depth perception really put a stop to so many of the things that I loved - I mean I was a Phys Ed teacher.... I loved sports...key being the past tense of love. Over the past 5 years I have come to grips with my new lifestyle which doesn't really include many sports other than golf (when its not too hot) and bowling - both sports that don't have a ball flying at me. I have sat back and watched people play sports, exercise and have learned to be content in my position of watching. It has been a journey... sometimes a good one, sometimes one of struggle. I have even at weak moments thought - I can still do that - I will give it a try - like when I subbed one day and thought maybe I could try pickleball - EPIC FAIL - I missed every ball that came to me... I chose to laugh, but inside my heart broke knowing that my new reality - and the students just thought I was horrible at the sport. It gets better - this winter I was asked by a friend to play in a 30 plus women's soccer league - I haven't played indoor soccer since I lived in Clearfield - so I thought this could be interesting! I am tired and out of shape for sure... I sometimes start running to the ball and run into the opponent because I am unable to stop - I get schooled by the "young" fit ones..... but I am playing!!! I am part of a team again for the first time in a very long time.... I know it may sound dumb to get so excited but to me, this is huge! I am competing! I scored a goal last week and in my heart I felt like I had just won a medal - seriously people.... my heart is full! I am not sure how long my body will last or when my next relapse will be, but I do know this, I feel great, and for today I will celebrate, Celebrate the good days and get through the bad. I will thank God that he has given me an opportunity to do something I love - be part of a team. Like I said - I am not a soccer all-star - but I am part of a team - I am exercising again and I am blessed! Thank you Moonshine Team for welcoming this old, broken down lady to your team,,,, you have made my heart full and helped be a huge part of redeeming my 30s.